Every gent’s wardrobe needs a pair of classic chukka boots. 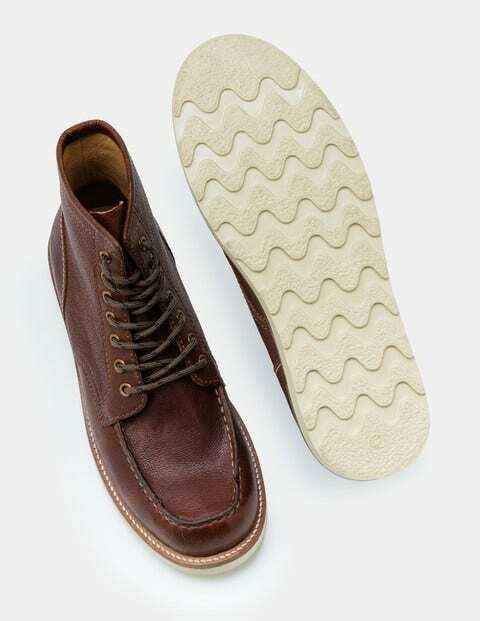 These combine soft, durable leather with a Goodyear welted rubber sole – so you’ve got the best of style and substance. The timeless shape goes perfectly with your favourite pair of jeans, plus they come with a spare pair of leather laces, so you can smarten them up when required.